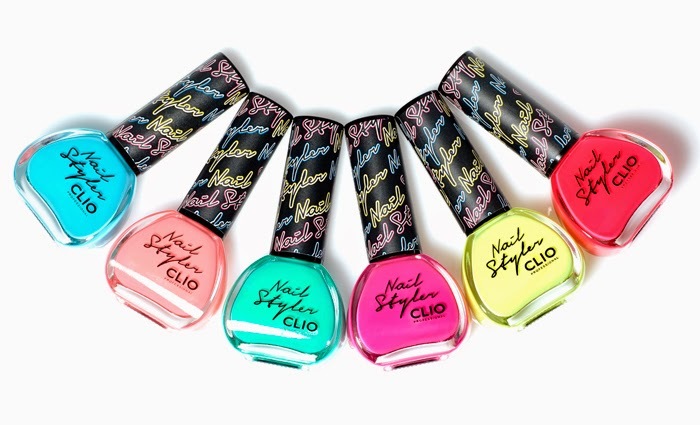 Nail Art Norway: I've tried a new Nail Polish brand! 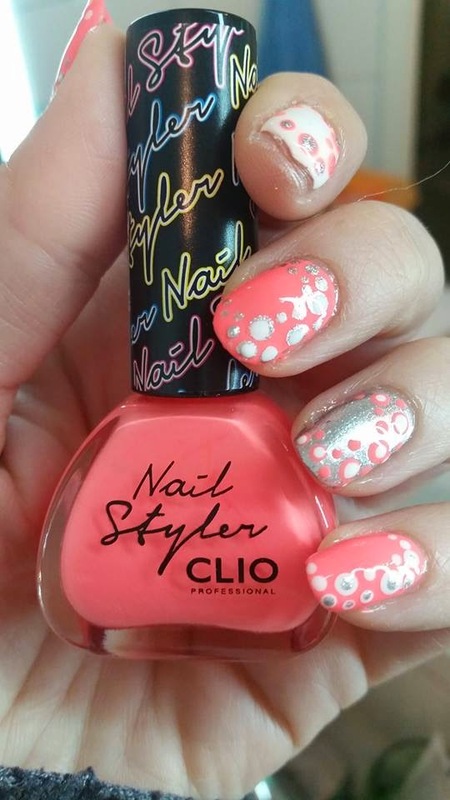 So I got this lovely CLIO - Nail Styler S129 Peach Neon off of eBay today, and decided to do a dot-on dot design. 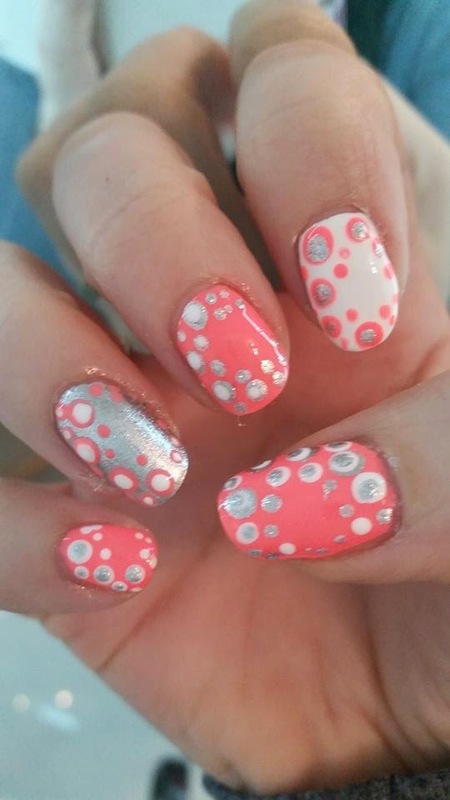 I also used Peripera - Rose Nail WH801 Vanilla White and Ruby Kisses MNP10 Silver Bling. 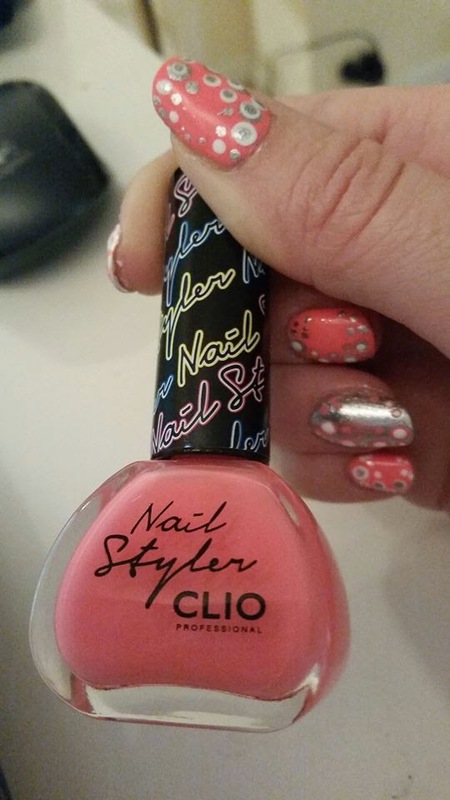 I have never tried any Clio before, so I was pretty excited. I don't think the pictures does the color any justice. It's a lot brighter and the color really pops! The bottle is really cute, and a lot bigger than it looks from the picture. It's more square, where I thought it was oval. The concistency is very thick. 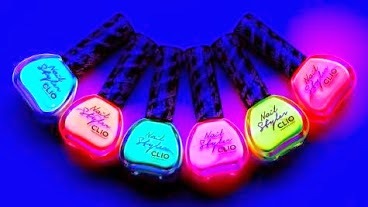 I guess that's because it's a neon and it glows in black-light. 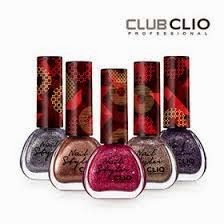 They are usually a tad thicker than a lot of normal polishes, is my experience. The brush is not too thick and wide. 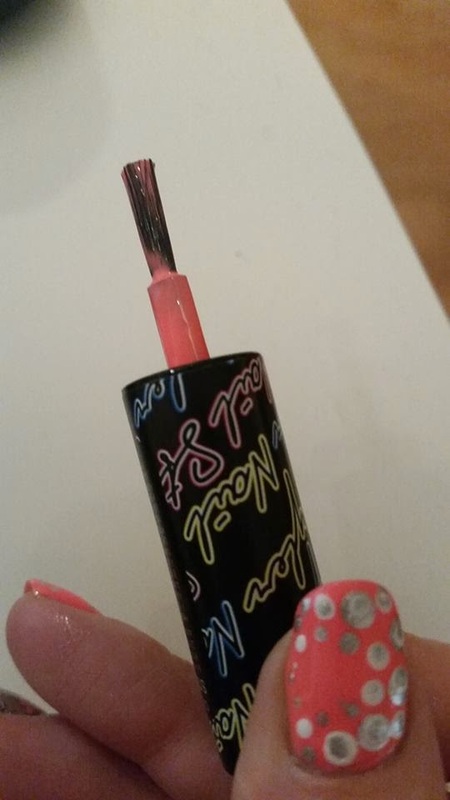 I think it would be very difficult to apply if that was the case, seeing the polish is thick. I tell you, it's easy to apply. Although it's thick, it doesn't leave streaks from the brush. It evens out. It needs two coats. The polish dries fairly quick. I will probably be buying more of these!! Love it!!! 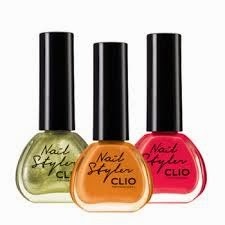 CLIO also have regular nail polish.